The date was September the 3rd. 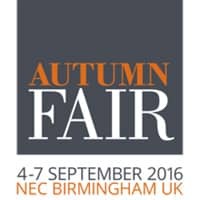 Our vans were loaded, the sun was beaming and we were heading to the Birmingham NEC for one of the biggest trade shows of the year, Autumn Fair 2016. We had a very successful show, whilst having a great time in the process and we would to take this opportunity to thank those who came to see us. Getting an opportunity to meet many of you face to face is always a tremendous one, particularly as we can showcase our new stock and advise you on what is currently selling well. We would like to take another opportunity to show you what the most popular ranges during the show were. Firstly the biggest interest this time around was for our Ski hats, In particular A1230 and the babies bobble hat B269. Our Thinsulate branded range also gets more popular year on year. A368 in various colours and A668 were particular standouts bringing with them a reputation for durability and warmth that your customers will love. We had substantial sales from our Children’s collection once more with ponchos like CR3 and CP1 along with ski hats like B250 being perfect for keeping the little ones warm and dry during the Autumn/Winter months. Flat caps like A14 and H27 were well sought after and are superb for any season. Plus with the changes in weather we had increased interest in wellies like WF121 or WF117 and gloves like GL5 or GM25. Finally we had some purchases in our range of bags. LB17 and LB15 feature standout colourful patterns that will appeal to your customers. Sadly this was our final trade show of the year and we won’t be able to attending anymore until next year for the Spring/Summer season. As mentioned before we always enjoy meeting you and showing our new and old ranges. Throughout the coming months we will continue to keep you updated on what’s hot during the Autumn/Winter season though our newsletters/blog posts and our social media.